In analyzing the unanticipated success of the Donald J. Trump For President campaign–at least in its early phases–I have found far more insight from a Harvard Business School professor than from any of the legion of established political commentators, consultants and journalists. Clayton Christensen, to the best of my knowledge, has never written specifically on American politics. However, the Harvard professor and management guru conceived of the concept of disruptive innovation. It strikes this writer that disruptive innovation is the most cogent explanation for the early and surprising success Donald Trump has generated in the early months of the 2016 presidential election. In his description of disruptive innovation, Professor Clayton states that it is “a process by which a product or service takes root initially in simple applications at the bottom of a market and then relentlessly moves up market , eventually displacing established competitors.” Transferring this theory from the corporate business world to the realm of presidential politics, one can observe how effectively it is being applied by Trump. While the political and media establishment wrote off the Trump campaign in its nascent period as a public relations stunt not to be taken seriously, the Trump campaign organization laid the groundwork and messaging to capture a constituency that was largely ignored by the establishment contenders for the GOP presidential nomination. The development of a simple theme–“Make America Great Again”–was clearly intended to resonate with potential voters who felt alienated from traditional politics, and were receptive to a messenger, especially with a high-profile celebrity brand, who offered the promise of American restoration. The history of the 2016 presidential election cycle is yet to written. There remains more than a year of campaigning, and much can still happen that is currently unanticipated. Yet, whatever transpires in November of 2016, Donald Trump has already had a transformative impact on presidential campaigning that will likely endure far beyond the next presidential election. 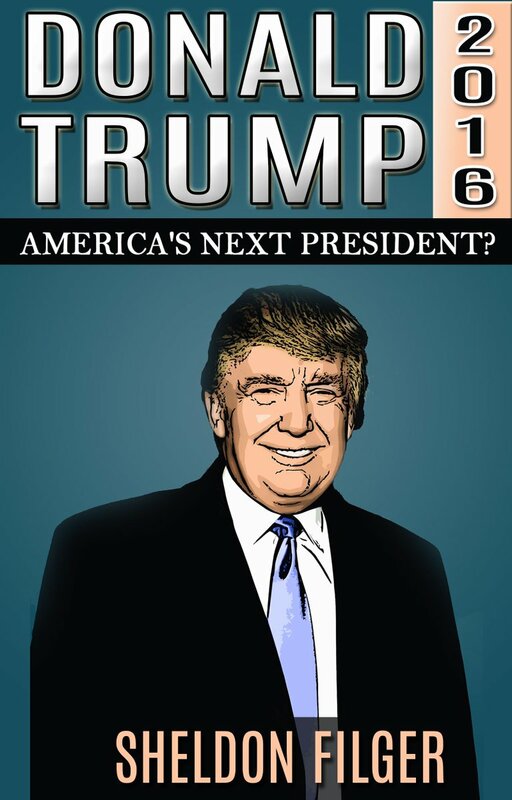 DONALD TRUMP 2016:AMERICA’S NEXT PRESTIDENT? is an eBook by Sheldon Filger on the remarkable and surprising presidential campaign of Donald Trump, billionaire businessman and real estate mogul. DONALD TRUMP 2016 is available on Amazon.com (use Internet address below for more information). Do you recall how the Obama administration refused to support mainstream opponents to the Assad regime in Syria for years, until Islamist extremists came to dominate the forces fighting against the Syrian president? President Obama then said he would counter ISIS influence in Syria with a half billion dollar training program for “moderate” Syrian opponents of Assad. Ever wonder what happened with Washington’s major investment in moderate Syrian fighters? Wonder no more. In stunning testimony before the Senate Armed Services Committee, Pentagon officials informed shocked senators that the $500 million investment from the coffers of American taxpayers led to “4 or 5” Syrian fighters being trained and deployed in the fight against ISIS. And they are uncertain if the number was either four or five? The answer is fiscally important, for in a best case scenario America spent a mere one hundred million dollars per moderate freedom-fighter; worst case, the tab rises to $125 million per fighter. The statement on the paltry results achieved from such a major investment by the Obama administration drew gasps of horror and stunned laughter from the senators. This is more than a failure of President Obama’s Syria policy; it is a manifestation of total incapacity to manage and steward the funds provided to the government by the nation’s taxpayers. But don’t expect any resignations over this dismal “return on investment.” As shocking as this episode is, many American citizens will not be surprised. In fact, the training program for moderate Syrian fighters can serve as a metaphor for so many fiscal aberrations that far too often are the rule rather than the exception when it comes to the fiscal probity of the federal government. If you want an explanation for the reason America is in such bad fiscal health–and why a majority of Americans view their government as corrupt and incompetent–here is a prime example for the ages. Russia Intervenes In Syria’s Civil War–Will This Be the End For Vladimir Putin? A mythology surrounds the man who has been President or Prime Minister of the Russian Federation for the past sixteen years, particularly among a clique of sycophants in Western Europe and the United States. This Putin myth, embellished by the Kremlin’s international television propaganda arm “Russia Today,” has convinced some that Mr. Putin is much smarter and more thoughtful in his long-term thinking than his peers in the West. My question to those who still believe in the Putin myth of infallibility is this: why did the Russian president recently decide on sending his armed forces to Syria to participate in that sad country’s interminable and ever more bloody civil war? Not even the Russian president bothers to deny that Russia is establishing a forward operating base adjacent to the Syrian port of Latakia. The evidence is so overwhelming in an age of Internet access to satellite photography, why refute the obvious? Putin does offer a rationalization of sorts; the Kremlin, so says the Russian president, has decided to join the fight against the Islamic State, or ISIS. In reality, with Russia’s Syrian ally (and Iran’s puppet) Basher al-Assad on the ropes , President Putin has made a strategic decision to join with the Iranian Shiite theocracy and its Hezbollah proxy to continue to wage war on Syria’s Sunni Arab majority, primarily to save a long-time client from total collapse. If Putin is as smart and savvy as his fans in the West maintain, why has he not learned from America’s failed overseas intervention in Iraq, not to mention Vietnam? Then there is the example closer to home, the Russian geopolitical disaster of a quarter of a century ago; the Soviet Union’s invasion of Afghanistan. If an army of 150,000 soldiers backed by massive airpower could not defeat the Islamist fighters in the mountains of Afghanistan, what calculus leads the Kremlin to believe that the much weaker Russia of today can have anything but a temporary and localized impact on the horrendous Syrian Civil War? It appears that prestige, and a desire not to lose Russia’s version of Guantanamo Bay, Cuba–the Russian naval base in Tartus, Syria– are the basis of the deployment of Russian military assets to Latakia. Whatever the short-term benefits are for Assad and his Alawite minority regime, the long-term impact for Russia will be brutally punishing. The appalling Russian experience in Afghanistan should have informed Russia’s decision makers of the dangerous path they have embarked upon. When Iran deployed its Hezbollah militia, paid mercenaries and Iranian Revolutionary Guard Corps to Syria in the earlier stages of the Syrian Civil War, there were predictions outside the Middle East that this marked an irredeemable turn in the tide of battle in favor of Assad. A much more knowledgeable observer, the Beirut-based Palestinian-American journalist Rami Khouri, warned that Iran’s intervention in the Syrian Civil war would only inflame sectarian passions, leading to a regional Sunni-Shiite conflict. That predication had been vindicated in all its horror. Now Putin is doubling-down on the hell that he and his Iranian ally have contributed towards creating. Russia, which today has only a fraction of the military capability of the former Soviet Union, cannot achieve victory for Assad. However, as with Iran’s intervention in Syria, Vladimir Putin will succeed in galvanizing hatred towards his nation, unleashing a jihad against the Kremlin that will not only involve evermore fighters from the Sunni Arab world joining in a holy war against Russia’s invasion of the Arab world. In all probability, the festering discontent within Russia’s own borders among a disaffected and increasingly militant Muslim minority in regions such as Chechnya will be exacerbated. In the early years of Putin’s rule, Russia was subjected to a wave of terrorist attacks that killed hundreds of Russian civilians, all attributed to unrest in Chechnya. That is but a harbinger of what will come, a predictable bloodbath on Russia’s own soil as blowback for Mr. Putin’s ill-fated attempt to show he can militarily intervene in the Muslim world without incurring the consequences his Soviet-era predecessors experienced over Afghanistan.